At age 13, a witch leaves her parents and tries to find a new city to call home. 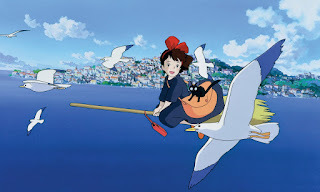 This is true for young Kiki, who sets off on her mother’s broomstick and flies to a seaside town. Without money or direction, she is lost, but when she performs a favor for a pregnant bakery owner, she is welcomed to stay with them. She has a place to call home in exchange for some help around the bakery, and she is also allowed to operate her new business from their home. 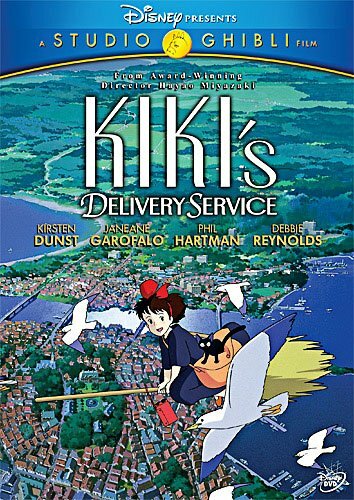 Kiki can fly – so she operates a delivery service. Kiki has a hard time making friends, but her good heart earn her the friendship of a kindly pair of elderly ladies and a boy. For a short while, it seems that she is losing her ability to do magic, but some time with a good friend – and a chance to rediscover a purpose for her skills – might do her some good. 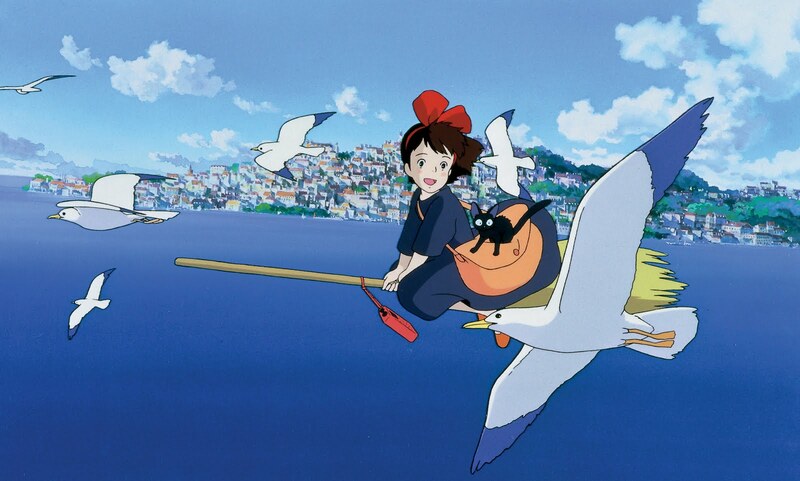 Kiki’s Delivery Service is a 1989 film that was recently screened in theaters nationwide as part of Fathom Events’ ongoing celebration of Studio Ghibli films. Kiki is taken in by a warm couple. They provide food and shelter for her, and also give her the freedom to thrive. Kiki finds new friends, and makes a place for herself, as she adjusts to life in a new city. Kiki is warmly received by several kindly new friends. Their charitable nature and her general kindness make a space for her in her new city. The film seems generally optimistic and hopeful about the nature of people. Kiki is loved by her parents. They let her go with their blessing because it is a rite of passage for her, but they will miss her. She sends them a note to let her know that all is well. Kiki seems to desperately want friends, but also is very nervous to be around new people. That seems pretty honest, and it could be helpful for kids who feel similarly to see it portrayed in a kind character. 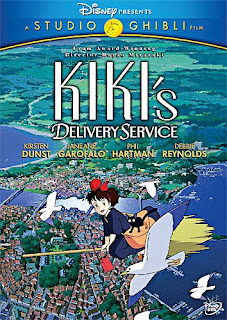 Kiki is told that her ability to fly is a gift from God, and she must use it. She does put it to use to save a friend in distress. Some parents may be put off by the fact that Kiki is a witch, but the film does not have a dark feel. Her magic feels more like Avatar-style airbending. Kiki’s Delivery Service is a charming and optimistic story that could be helpful or meaningful for kids who have adjusted to a new town. 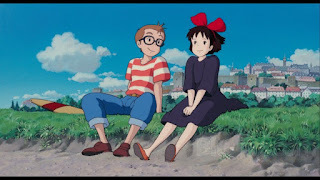 There is a scene where a boy is in distress – Kiki must save him before he drops from a great height, but aside from this the film seems pretty kid-friendly. This one seems good for kids and teens ages 7-15 or so. What do you think Kiki was feeling as she adjusted to her new town? What helped her feel at home? 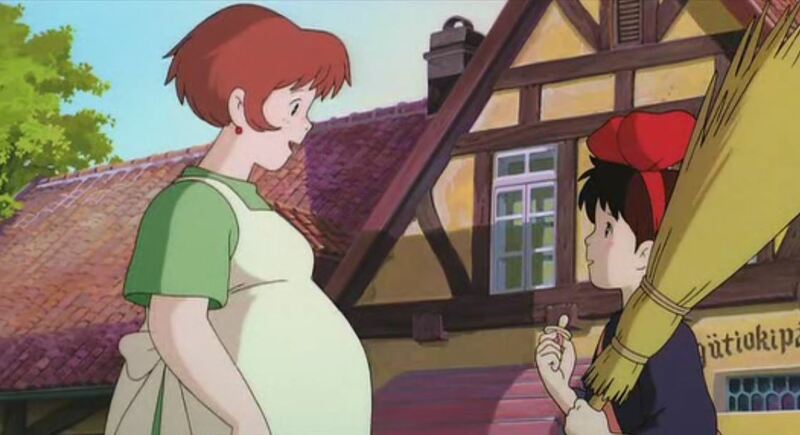 Who was the most important person in helping Kiki get settled in? If you could fly, where would you go? How high would you fly? If one of our pets could talk, what do you think they would talk about? Why do you think Kiki was sometimes shy around other kids?